Pat Riley is a former player and broadcaster of basketball and started coaching what became the "Team of the Decade", Los Angeles Lakers, in 1980. "The Winner Within" book is about Pat Riley's experience as a coach of the Lakers through the decade that made the team's achievements almost legendary. 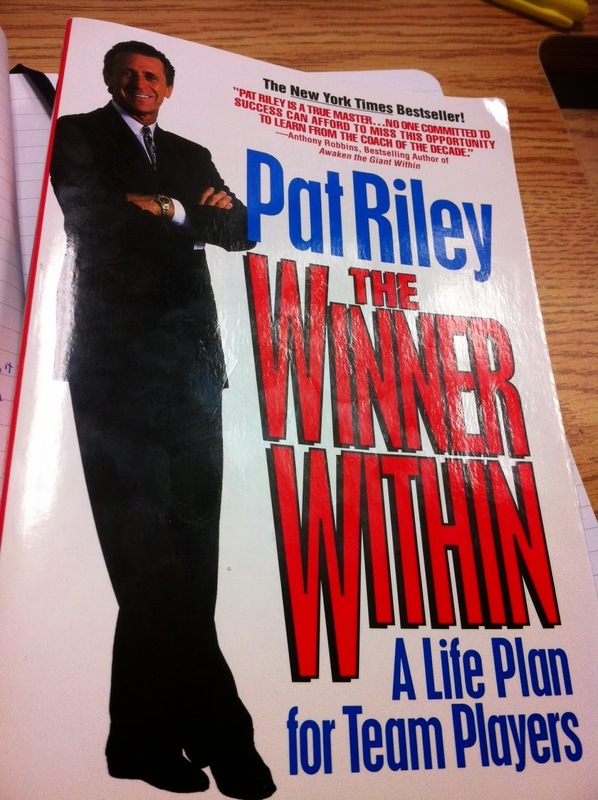 Pat Riley isn't an author but he must of been a pretty good speaker to his team when he was coach due to how inspirational his writing style is. I have little interest in basketball (we, Canadiens, prefer hockey) but found myself wanting to know more about the struggles and victories of the Lakers throughout the years. The book is somewhere between auto biography of a coach and sports lessons applied to business. It's the first time I read something of this genre and it worked well in this case. If you like basketball, then you probably know who Pat Riley is but might not of picked up his book yet and should (what are you waiting for?). If you don't like basketball, The Winner Within will still be of interest to you since the lessons learned in the sport can be applied anywhere. It is an easy read, inspirational and a good addition to you library.